Reason for War: Is Iran Violating the NPT? Has Iran violated the Nuclear Non-Proliferation Treaty? That depends on who you ask. Yesterday, at the opening session of the May 3-28 conference in New York meant to review the NPT, Secretary of State Hillary Clinton suggested Iran has violated its international obligations. 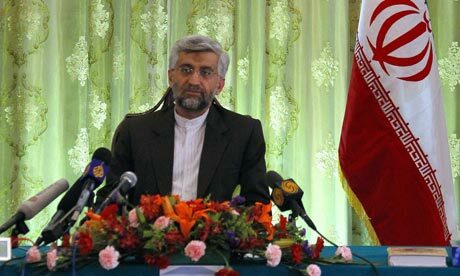 However, Iranian President Mahmoud Ahmadinejad once again denied his country has nuclear ambitions. Instead, he berated the U.S. for its possession and use of nuclear weapons. “The possession of nuclear bombs is not a source of pride; it is disgusting and rather shameful.” Ahmadinejad said in a speech on the conference’s opening day. The fact is, Iran has allowed AIEA inspectors in the country since the early 90s and continues to do so. However, it has sometimes not reported otherwise legal activity until after it has been discovered. Iran’s has failed to meet its “obligations” not by violating the NPT, but by failing to report. The IAEA has consistently reported Iran’s activity as peaceful. Rhetoric against Iran by the international community is gaining momentum. The accusations are not dissimilar to those that were used against Iraq and made to justify a U.S. invasion. While nations such as Pakistan, India, North Korea and Israel posses nuclear weapons and refuse to sign the NPT, the international community is concerned with Iran: a basically compliant signatory who has yet to be proven in pursuit of nuclear energy for non-peaceful purposes.